Update: Unfortunately I purposely withdrew from the DL meetup after a very unprofessional experience with the co-organisers Persontyle. I Instead I joined forces with the London Machine Learning Meetup. It has been almost half a year since I announced I would take over the London Big-O Algorithms meetup and bring it back to life. 5 Months later I am very happy to say all has gone extremely well, interest and attendance far exceeding my expectations. We have had a great set of meetups so far and all speaker slots are booked until June with talks from Google, The founder of ZeroMQ, Microsoft Bing, and many others. Really nice to see there is strong interest in good, solid, technical content. However, enough about Big-O. This post is to announce a new meetup group that I have been convinced into setting up. The Deep Learning London meetup. The aim of this group is to bring together people interested in the family of machine learning methods that are concerned with learning distributed, hierarchical (“deep”) representations. Neural Networks being the most popular implementation. Its an area I have been looking at for a while and will be getting into quite deeply over the next couple of months (no pun intended). The format will be based around guest speakers sharing new research ideas and applications covering a wide range of fields from computer vision and natural language processing to autonomous systems and prognostics. Note we are not assuming deep learning is the be-all end-all silver bullet of machine learning and welcome critical thoughts and benchmarks. Sound interesting? Get in touch! If you think there is more to the world than “functional cloud based self learning big data analytic enterprise visualization dashboards” please read on. 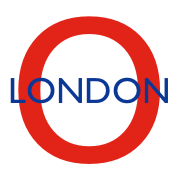 Those that follow me on twitter will have noticed I have recently taken over the organization of the London Big-O Algorithms meetup. Originally founded by Zack almost (almost a year ago) it fell quiet after the first meetup as things came up and Zack eventually moved to better weather in California. I was a strong supporter of the project from the beginning and when meetup.com sent all members an email saying the group was in danger of deletion I decided to put my money where my mouth was and took over organization. The aim of the group is to focus on the fundamental algorithms & datastructures that developers rely on every day to make things efficient, fast, and scalable. These are things that will come up in every decent job interview and its easy to forget them in day to day work or the buzzword of the week. Any application goes, be it computational fluid dynamics or high frequency trading. Just as long as the focus is on the underlying algorithms & datastructures and it is delivered in an engaging, accessible way. Skillsmatter have been kind enough to host us and Im happy to announce we have 2 great speakers lined up for our first meetup titled Lockless Tables, NegaMax, and Numerical Optimization in Machine Learning.